Probably the best day I’ve had on the river in a long, long time. I couldn’t believe how reckless and aggressive the trout were. It was the last good day before a serious snow-melt/run off. The temps climbed to almost 50 F, and next day the region got slammed pretty good with a cold rain. Warm enough to help push that snow though – flooded rivers, lots of chocolate milk. I don’t know if the climb in temps, length of days, or inevitably blow-out from the snow melt is felt by the troutz…but something triggers those fish to get hungry real quick and abandon saftey and wisdom. The Bugger Hatch is all about timing. A commitment to swinging buggers 356 days a year ensures that once or twice you hit gold. FYI – all of my fishing shots are taken on my Canon Powershot D10 . I bought this camera years ago just for fishing. Waterproof, shock proof, and reliable. Water will cling to the lense from time to time*, but it produces great images and I NEVER worry about dropping it in the river or roughing it up. *the water blurs are sometimes a pleasant, unforeseen affect. 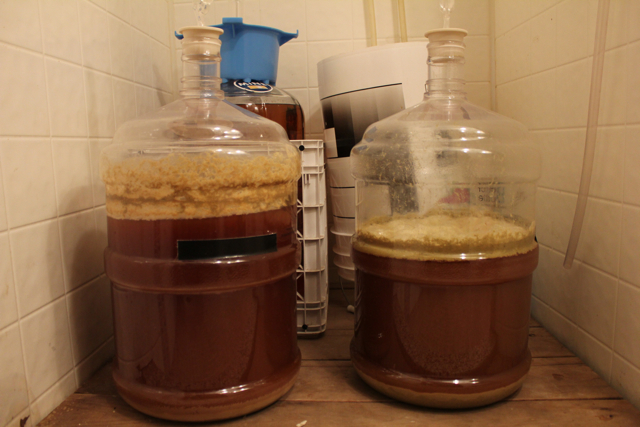 Both recipes are 3 gallon BIAB and use the no-sparge method I typically employ. To read more about BIAB brewing and this technique visit Beersmith. Also, you can always check out the Brewing TV episode, Jake’s Got a Brand New Bag…it stars a devilishly handsome dude. I had some hops to use up and a solid IPA recipe was what the doctor ordered. 1.064 OG, great color – fermented at around 62 F – fermentation was vigorous, smelled wonderful. Definitely dank and musty aroma when xferring to keg. Sample at xfer revealed a smooth bitterness (likely to increase with carbonation.) – hops are definitely on the Warrior/Columbus side…resinous and funky, with a little pine/citrus kick from the Cascade and Centennial. FG at 1.018, higher than expected…however the beer is still rather dry and very clean. Nice malty backbone but not overly sweet despite the xtal malt. Pretty damn good. Fermented fast at 62 F – clean and clear, same great color as above. Way more citrus and pine in the nose during fermentation and at xfer. Drier than the Conclave, but the hops are really singing together on this one – resinous, but with a citrus kick. Same great malt backbone as the Conclave, but with a more “San Diego” hop forward character vs. the “Portlandia Dank” from the Conclave. Another awesome IPA to ring in the Spring! Oh yeah, OG was 1.060, FG 1.010…this one has shoulders. Make your own damn beer. 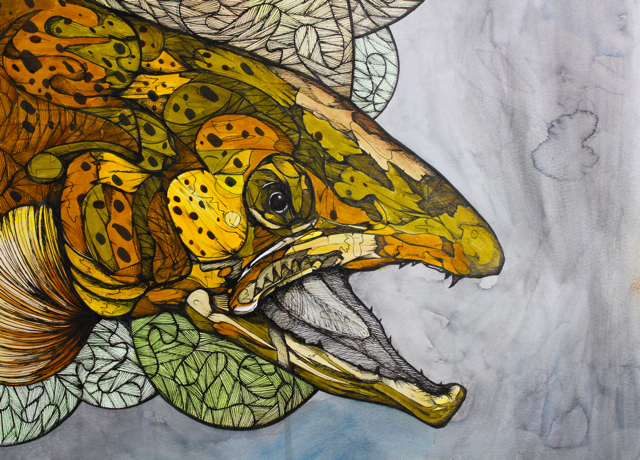 Finally finished this gnarly drawing of a beastly brown. Print available here. Nice all around! The fishing pics are making me extra salty, what with today’s thundersnow. What was in the hop blend for the Collateral Damage? This post has everything. I’m getting the print, just gotta figure out what size. Cheers! Any dry fly prints in the future? where do you do most of your fishing? Not looking for your honey hole just areas? TC metro area – anything on or by the river. Also, Upper Miss. for smallies and pike, Western Wisco rivers for trout and smallies. Hey Jake, what is the mash process for these IPAs? Water vol, temps, etc. Just found the blog via Chop and Brew on YouTube. Jake, finally found your blog. 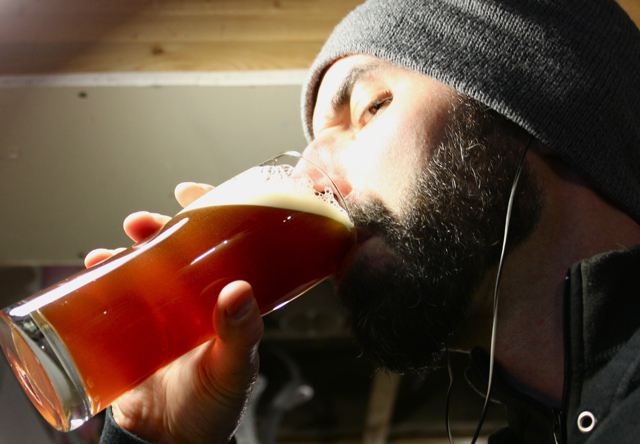 Miss the Brewing TV episodes… Anyways, could you tell us the mashing process for those BIABs? It’s something I’m looking to do more of myself for all the same reasons you stated in Jakes Got a Brand New Bag.